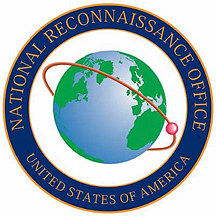 The United States Air Force’s Space and Missile Systems Center (SMC), in partnership with the National Reconnaissance Office (NRO), has awarded two Evolved Expendable Launch Vehicle (EELV) launch service contracts. Space Exploration Technologies Corporation (SpaceX) has been awarded a $297 million firm-fixed-price contract, for launch services to deliver AFSPC-44, NROL-85 and NROL-87 to their intended orbits. United Launch Alliance (ULA) has been awarded a $441.76 million firm-fixed-price contract, for launch services to deliver SBIRS GEO-5, SBIRS GEO-6, and SILENTBARKER to their intended orbits. Lt. Gen. John Thompson, SMC Commander, and Program Executive Officer for Space, said the competitive award of these EELV launch service contracts directly supports SMC’s mission of delivering resilient and affordable space capabilities to our Nation while maintaining assured access to space. “Phase 1A continues to enable the space enterprise to respond to the rapidly evolving operating environment.